This was the biggest of the Hotels,built in 1884 first called Lawson's Hotel . In 1901 it was bought by George Cambell who also owned the Merriconeag Hotel at the point 1901-1905. During it's declining years one attempt at survival was to build a big swimming pool to attract guests. The foundation of this pool is still visible in the back yard of Mr. & Mrs. Ed Burkes' house. The hotel burned in 1927 a mysterious 3 A.M. firm and story has it that the flames were so high the glow could be seen all the way to Brunswick. It burned so fast that the fire dept. could not save a thing and it was so hot that the cast iron tubs from the bathrooms three floors high actually stacked inside each other when the wooden floors gave way. Other owners were A.S. Young 1905-1911, Harry Lightfoot 1914, and Mrs. Lena Perry 1926 when it burned. The Maine Central Railroad will issue round trip tickets to the LAWSON HOUSE, from Lewiston, Auburn, Brunswick, Freeport and Yarmouth for half rate. The proprietors of the LAWSON HOUSE desire to call your attention to the special arrangements which they have made with the Maine Central Railroad, by which it will issue a coupon ticket, for the round trip from Lewiston, Auburn, Brunswick, Freeport or Yarmouth, to the LAWSON HOUSE at South Harpswell, including an excellent shore dinner at the LAWSON HOUSE. 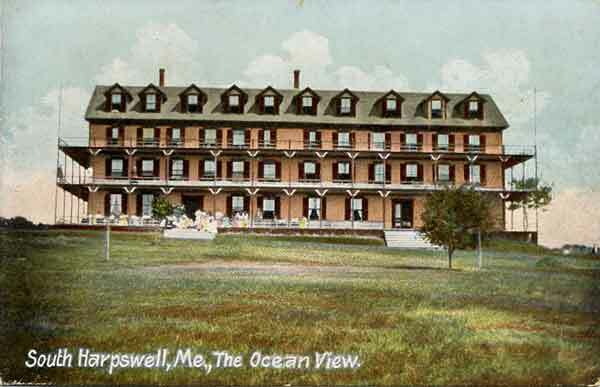 The tickets include coupons for the horse cars at Portland, over the Harps-well Steamboat Company's steamers from Portland to Harps well, conveyance from the wharf at South Harpswell to the LAWSON HOUSE, and also a coupon for the dinner at the LAWSON HOUSE. Fare including dinner from Lewiston, Auburn and Brunswick, $2.10; Freeport, $1.85; Yarmouth, $1.55. These excursions will provide a most enjoyable time during the summer season, and obviate the necessity of carrying a lunch. The LAWSON HOUSE is on a high elevation, furnishing its visitors with a view of Merriconeag Sound, the Atlantic Ocean, Cape Elizabeth and the numerous islands in the charming Casco Bay, as well as a distant view of the White Mountains. 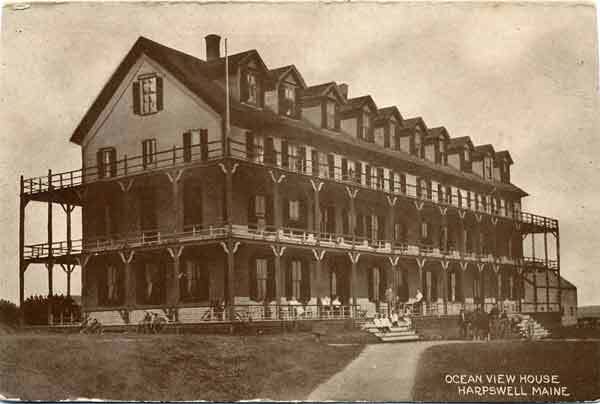 The House is finely furnished, and fitted with all modern improvements, including hot and cold sea water baths, and is one of the pleasantest and most attractive resorts on the Maine coast. Good bathing, boating and fishing. Ask for LAWSON HOUSE coupon tickets. Tickets on sale at the Maine Central Railroad offices at Lewiston, Auburn, Brunswick, Freeport and Yarmouth. Steamers leave Portland Pier at 9 and 10.15 A. M., 2, 4 and 6 P. M.
Returning leave LAWSON HOUSE at 2 and 4.25 P. M., arriving in Portland at 3.40 and 6 P. M.